If you want to fly to Ambergris Caye rather than take the ferry, you’re only going to have two options as far as I can tell. 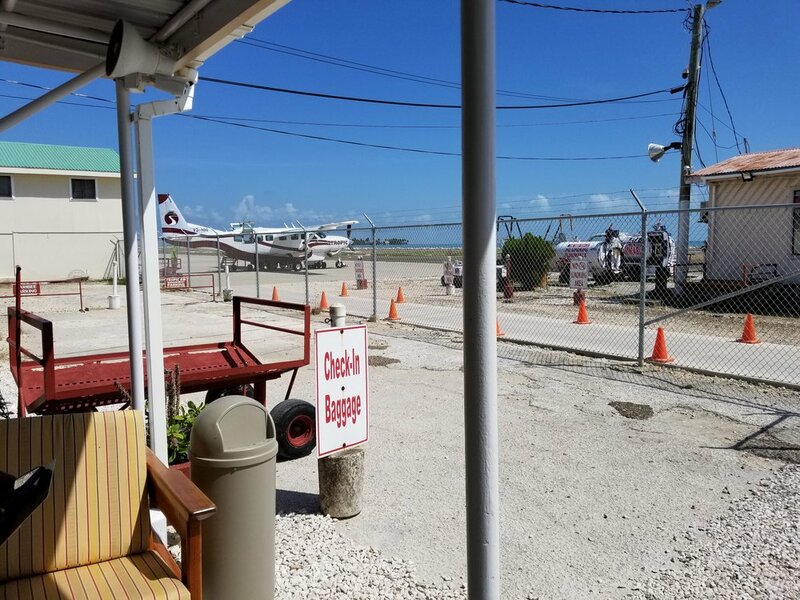 A tiny airport right in the middle of the town of San Pedro serves the island, and Maya Island Air and Tropic Air are the only airlines providing service. My research indicated that the airlines were very similar, charging close to the same prices on the routes I saw, and flying fleets consisting mostly of Cessna Caravans. I was attempting to book a ticket from the Belize City Municipal Airport to San Pedro, thinking this would be easier and more convenient than traveling further to Belize City International Airport and dealing with the hassle of the larger main airport. Just as I was about to carefully consult the safety record of each airline, I discovered that the budget website of Maya Island Air was malfunctioning and would not allow me make a reservation. Because I didn’t want to bother making an international call to book the ticket, my decision was made and I easily purchased the tickets on the functioning Tropic Air website. My guess that Belize City Municipal Airport would be hassle free turned out to be correct. The airport is right on the water in the middle of the city and consisted of little more than a few hangars and tiny buildings – one for each airline by the looks of it. I had read somewhere that there was a place in, or next to the airport to get food and drink, but this turned out not to be the case, so to my disappointment, I had to observe the action, or lack thereof on the runway from inside the small, but comfortably air conditioned Tropic Air building. Judging from the casual attitude of the entire airport staff though, I probably could’ve hung out and waited out on the tarmac if I’d wanted to. Checking in took about 5 minutes and consisted of giving the agent my name and collecting a plastic card that served as a boarding pass. When the flight is ready to depart, they tell everyone the flight is ready and you walk out the door and onto the plane about 20 feet away. There were maybe ten other people on the flight, and given its full status, my girlfriend was given the copilots seat. I got a little overzealous and attempted to steal it, but one of the employees informed me that I was not the person she had instructed to take that seat. It seems they were wise to my plan and had picked my more lightweight companion for legitimate, aviation related reasons. That or they prefer people to actually follow instructions. The flight took maybe 15 minutes and was an absolute delight. The scenery was phenomenal and the novelty of observing the action in the cockpit more than made up for the cramped quarters. While it is definitely more expensive than the ferry at around $60 USD each way, I’d still recommend it for the convenience and novelty. And if you’re tight on time, it’s definitely the way to go. They fly a variety of routes in Belize, and even a few destinations in Guatemala, Mexico, and Honduras. 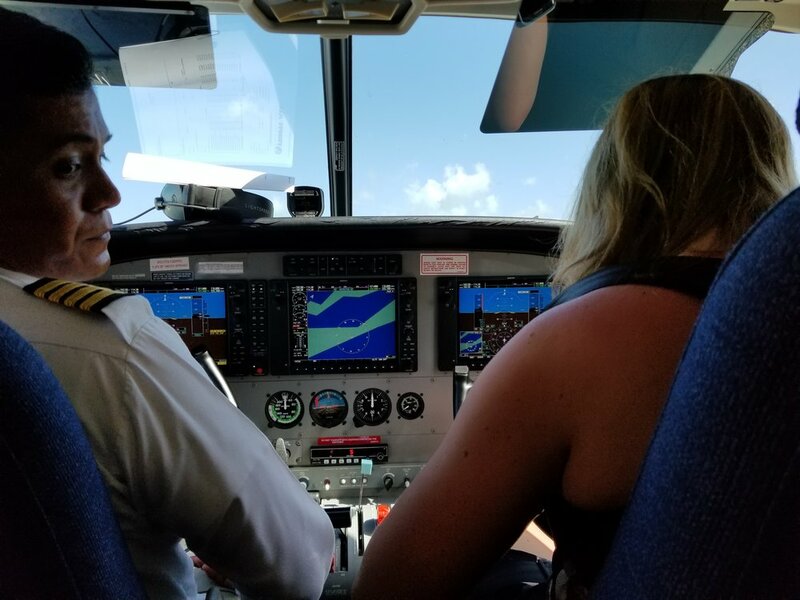 We opted to fly from Belize City Municipal to San Pedro and then from San Pedro to Belize International when we departed to catch our flight home. This could not have been more convenient or efficient, and I’d highly recommend it if you can spare the extra expense.